My Brethren, one of the most mysterious symbols within our society is the mythical All Seeing Eye we receive in the third degree of the Ancient Craft. 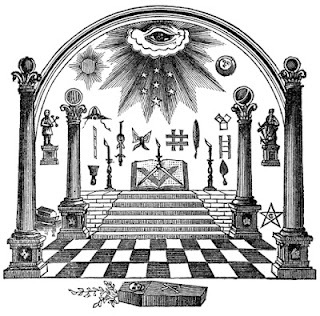 This symbol in ritual is mentioned as “the All seeing eye whom the sun, moon, and stars obey, and under whose watchful care comets preform their stupendous revolutions, beholds the inmost recesses of the human heart, and will reward us according to our works.” In ritual this reminds us of the obligation we owe to God, not in any religious context, but to the universality of God and mankind. As Masons the eye has had many meanings throughout our long rich history. 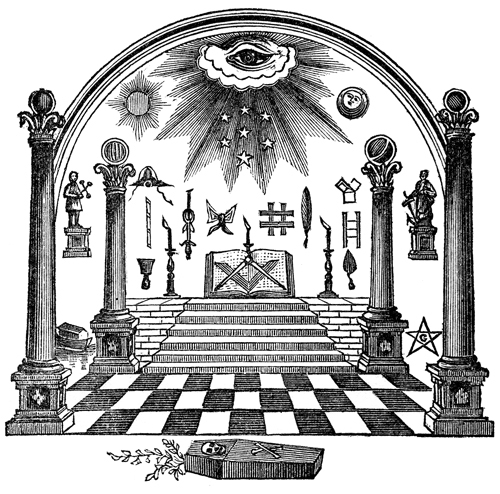 But the true understanding and deeper meaning is a revelation of the meaning of the Master Mason’s degree. 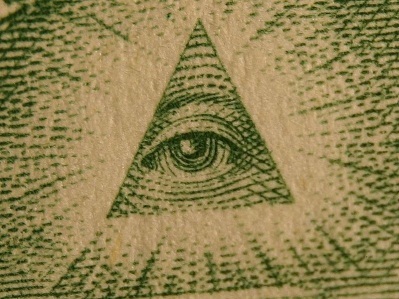 Albert Mackey writes that the All Seeing Eye is “An important symbol of the Supreme Being, borrowed by the Freemasons from the nations of antiquity.” The All Seeing Eye is a symbol representing the watchful gaze of God. It reminds us that every thought and action is to be recorded by the Grand Architect of the Universe, and that we are bound to our obligations in spirit as well as in blood. As Masons we are to act upon the square of virtue and keep our passions in due bounds, that is what we swore to uphold on our honor as a man and a mason. This is the general exoteric explanation for this symbol in modern masonry. This is because the eye was adopted into Masonry in 1797 in Thomas Webb’s Official Freemason’s Monitor. 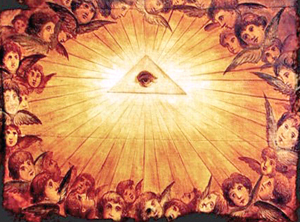 The Masons during the enlightenment era referred to this as the Eye of Providence, which represents God’s gaze over humanity. They saw it as a symbol to represent unity of religious denominations in this new era of enlightenment which ended the dark ages and gave birth to modern democracy. But the All Seeing Eye is found throughout history in a variety cultures and societies. This I believe is why the Masons adopted it for this reason. For instance Buddha is regularily referred to as the “Eye of the World”. In Hinduism divine providence is associated with the God Shiva, who has an all seeing third eye on his forehead, that notices everything that happens in the world, has an authority over death, rebirth and immortality. The third eye is also associated with the forehead chakra in eastern meditation teachings. In Medieval and Renaissance European iconography, the Eye often with the addition of an enclosing triangle was an explicit image of the Christian Trinity. This verse is pointed too because I feel it correlates one of the most important meanings to this symbol. The All Seeing Eye is more representative of the will of God, rather than God itself. In a hermetic view the eye dwells in the heavens gazing over the sun, and moon. But yet it can see into the inward receses of the human heart. This reminds us of the important hermetic lesson of ‘as above so below’ this shows that the earth and the heavens are a reflection of each other and connected through the nature of God. New ways of perceiving God and man is what lead humanity out of the dark ages and bring forth the Rosicrucian and enlightenment movements. The Masons of the enlightenment era believed it was God’s will that they give birth to democracy and the end of the feudal system. They believed Masonry was a tool for social change and social justice, to end the darkness of exploitation and the revival of the ancient ideals of the republic. This is why I believe the Speculative Masons incorporated the All Seeing Eye as an emblem, because they believed they were a working tool for the will of God. 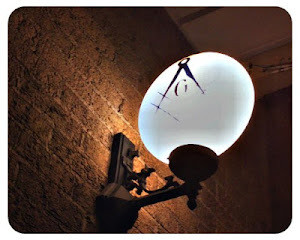 “It is in its antique symbols and their occult meaning that the true secrets of Freemasonry consist. But these have no value if we see nothing in the symbols of the blue lodge beyond the imbecile pretenses of interpretations of them contained in our monitors. People have overlooked the truth that the symbols of antiquity were not used to reveal but to conceal. Each symbol is an enigma to be solved, and not a lesson to be read. How can the intelligent Mason fail to see that the blue degrees are but preparatory, to enlist and band together the rank and file Masonic army for purposes undisclosed to them, that they are the lesser mysteries in which the symbols are used to conceal the truth? The Egyptian mysteries were dramatic rituals that were used to provide the candidate to receive understanding of eternal life. These initiation rituals were based primarily off the legend of Osiris and Isis, to which Pike believed was the source of Hiramic legend and the mystery of the master’s word. This legend sates that Osiris, ancient King of Egypt, was the sun and the virgin Isis, his wife and sister, the moon. Typhon, his brother representing darkness and chaos, plots to kill Osiris and take the throne throwing Egypt back to chaos. Typhon traps Osiris in a coffin and throws it into the Nile, where Osiris drowns, descending to the underworld. Isis searches and finds the body, but it is stolen by Typhon who cuts it into 14 pieces and throws them into the Nile. This act is similar to masonic ritual where a body is mutilated if an oath is violated. Isis again searches this time only finding one part which is declared a substitute. By a mystical union through the God of wisdom Thoth, Isis and Osiris have a son, Horus, who defeats Typohn in battle and then assumes his father’s earthly kingdom. This scene of the raising of Osiris is particularly interesting to Pike. Horus went in solemn procession to the grave of his father Osiris. He opened it, called to his Father saying: "Stand up! Thou shalt not end, thou shalt not perish!" Osiris awakes but is only arisen by the aid of the strong grip of the lion-god he gains control of his body, and is lifted from death to life. Thereafter, by virtue of his victory over death, Osiris becomes Lord of the Land of Death, his scepter an Ank Cross, his throne a Square. This is representative of not only the true grip of a master mason, but also to the perfect ashlar which sits represented as the perfect spiritual self. Looking esoterically at the relationship between the sun, moon and master of the lodge one can see a clear parallel to Osiris, Isis and Thoth, and the relationship this has to that of Alchemy. Osiris now raised is given sovereignty over the underworld. This sense of omnipresence is interesting because we now know the All Seeing Eye to re associated with Amun-Ra as oppose to Osiris. Amun-Ra was self-created without mother or father, he is the light birthing in the darkness. All other Gods are seen as an extension of his being. This is how the eye is related in extension to Osiris. 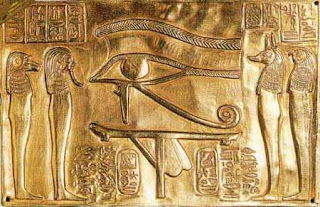 The Eye is also a symbol for Ra, a solar deity, which in Helipopolis and other area was merged with the mythology of Horus forming the deity Re-Horakhty which means "Ra, who is Horus of the Two Horizons". This process of light out of darkness is at the heart of masonic teaching, and process of ritual death and resurrection is the root of achieving enlightenment in the masonic system. In fact it is at the root of all our mythology and teachings. In my view the All Seeing Eye is a reminder of our own inner divinity. We are all connected to each other through God. Through God we understand the deep devolution and dedication we must observe in our daily lives. Always remember that we are the reflection of the universe upon itself. So while in the gaze of the All Seeing Eye we must let our spirit be as pure and spotless as the white leather apron we were presented when we first stood neither barefoot nor clad upon the checkered floor. This is a terrific piece, James. I think you've done a great job at explaining one of the most misunderstood symbols in Freemasonry. The All Seeing Eye is God. HE who made the Humans who Made Computers!! !